Our partner Malonik is back again, but this time rather than building up a base design, he’s put together 10 quick RUST raiding tips for tearing them down! This one is short and sweet. You’ll quickly learn about some useful and important techniques when it comes to raiding in RUST. For an even faster overview of the tips, you can quickly scan the video transcript found below. Also, be sure to keep an eye out for Malonik’s next announcement, celebrating 1000 subs! 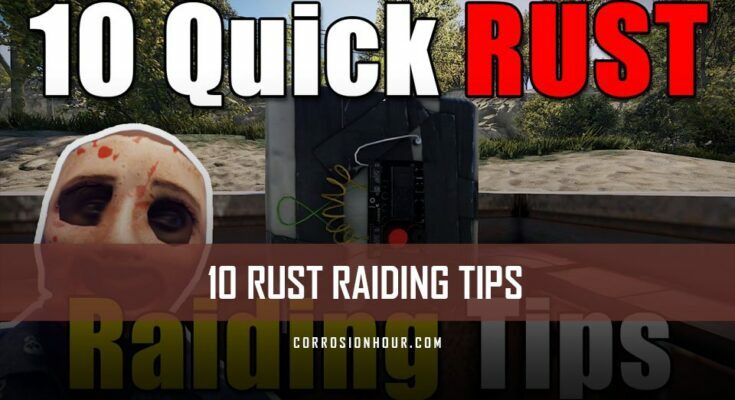 Hey guys, Mal here and today we’re going to take a look at 10 quick RUST raiding tips! Raiding doesn’t have to be loud. Don’t get me wrong there is something special about taking the big booms to a base and wreaking some havoc. However, if you’re on a high pop server there’s a good chance you’re going to regret it. Alternatively, you can use fire to quietly break into wooden bases or doors and silenced explosive rounds for stone or metal bases and metal doors. If you’re doing a raid and they are online, then you may have a fight on your hands. If that’s the case it can be a good idea to set up a little FOB or Forward Operating Base. It doesn’t have to be crazy, just something for some beds, boxes, a spare gear set or two and ideally a few lookouts, so you can see the target base and the surrounding area. That way if you get killed you can be back into the action quickly and you can have a vantage point to keep an eye out for anyone coming to counter. Assign roles to each of the people that are coming to the raid. Your goal is to be as fast, efficient and organized as possible to give you the best chances for a successful raid. So for example when building your FOB have one person building and the other upgrading so it goes up nice and quick. When raiding, have one person assigned to blowing things up and the others keep an eye out. Throw auto turrets down facing the entrances to the base you’re going to raid. Not only does that help pin the defenders inside so they can’t come out to counter you or try and leg it with their loot, but it also protects you once you’re further into the base in-case people try and sneak up on you. Keep in-mind that some people will start de-spawning loot once they realize they’re trapped and can’t do anything. You won’t know until you’re in there but it’s in your best interest to move fast. Make sure you stick to what you’re meant to be doing. This can be hard at times as being a lookout can be really boring when the other person is getting to blow things up and have fun. However, doing your job instead of watching the pretty explosions gives your raid a much better chance of success especially if you have counter raiders on their way. Standing in-front of a door that’s broken but hasn’t fallen away yet is a fantastic way to get yourself killed. This actually goes hand in hand with those that are too eager and just sprint through said doors for the juicy loot. There could be traps, there could be a fully kitted guy waiting to say hi or even both. Stand back and wait for doors to fall away, carefully peek the doorways and then go in. You can usually get an angle on any traps and take them out with explosive rounds or a satchel. If it’s an auto turret your best bet is going to be an incendiary rocket. One of the worst-case scenarios when raiding is that those defending manage to kill you and steal all of your booms. With that in-mind you need to do everything in your power to ensure that doesn’t happen. If you hear them opening doors and coming at you don’t be afraid to just fire a rocket straight into the room as the last door opens. Sure, you waste a rocket but you pretty much guarantee the person is dead and unable to stop you and you might even be lucky and take out their bags or beds in the process which more or less means you’ve won. Come to the raid prepared for everything, including when you get to their TC. By the time you make it their TC you’ll most likely have made some noise and there’s a good chance that people will be sneaking up and checking things out. As soon as you get to the TC get rid of it, put your own one down and seal up the base with your own door and lock. That way you can calmly loot the base and cheaply pick through any walls and things like that. I’ve seen a lot of groups that all rush inside the second they get a slight whiff of loot because they’re eager to see and get the juicy loot. Now that’s perfectly fine if you like getting countered and dying given that doing so means you’ve lost any advantage you may have had. If you play on just about any populated server there is a good chance that when you start setting off booms a group of counter raiders will be kitted up and heading out to try and find the raid. Make sure your lookouts stay outside and remains vigilant in their job. This last one isn’t so much of a tip for raiding itself but more so for after your raids. Keep raiding and spending your resources and loot. Even though it may be incredibly tempting don’t horde it in your base because once you’re raiding you’re making enemies. 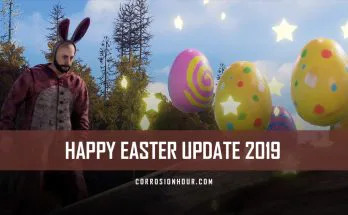 Furthermore, people talk, and the word will get around that you’ve been raiding and people are going to start to assume there’s some juicy loot hoarded away in your base. You’ll have a much better time if you actually use it and enjoy it rather than someone else raiding you and taking it. Well that’s it for the tips this time around, I know this is a little different from my other formats that I do but I thought I’d try it out and see how it goes. Let me know in the comments if you’d like me to do other 10 quick tip videos on other aspects of RUST. Lastly, I just want to quickly thank you all so much for the subs, hitting the one thousand subs goal is crazy and awesome! I have something special in the works for the 1k sub goal which I’ll hopefully be announcing sometime soonish, just working out the finer details to everything.